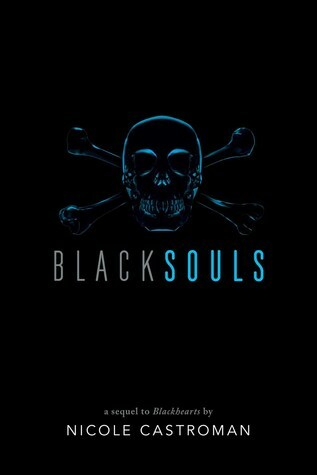 Blacksouls by Nicole Castroman is the second book in her Blackhearts series. 1. This is Castroman sophomore novel and the second in her series on Blackbeard's origin story. While I did not enjoy this as much as Blackhearts, I still enjoyed this book. I think that part of the reason I did not love it as much is there were not enough Anne and Teach scenes together. I love their chemistry and banter, which this book was missing a lot of, but on that note, I made sense for the story that they were not together as much. 2. This book had a significant amount more of action/fight scenes that the first book. For me, it really spoke to the difference between English society at the time and the atmosphere of the Caribbean towns. It really spoke to the sense of lawlessness and ruthlessness in ports in the Caribbean. This change also brings about interesting changes in the characters of Anne and Teach, and what they become willing to do to protect those they care about. 3. Castroman introduce several new characters, both friend and foe. Anne makes friends some siblings Coyle and Cara on her way over from England, who take her in as family. The antagonist in this book, Governor Webb, makes Teach's father in the first book look like a cuddly bunny. The man is evil. 4. The ending makes me very interested to see how the next book will go. The actions that Teach and Anne had to take and what they do next has me excited for the next book.